To put it simply… peonies are so pretty! What’s more, peony season spans from March through August globally, but right now it’s in full swing in London—just in time for florists to make your next event or party perfect. Full and fluffy these dreamy blooms create lavish arrangements and bouquets, by themselves or combined with foliage and other floral favourites like lilies and roses. 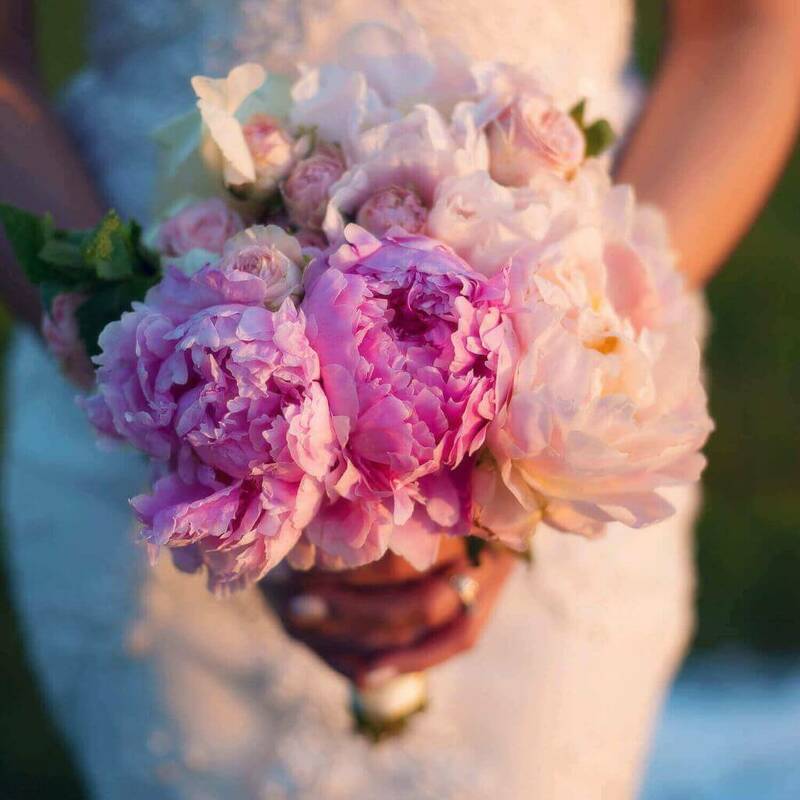 Symbolizing romance and a happy marriage, it’s no wonder many brides prefer peonies this time of year. Likewise, peonies are the 12th wedding anniversary flower. But, they also convey prosperity and good fortune to all! Whether you’re celebrating your vows, or planning a social or business event, London florists offer these sweetly fragrant flowers in an abundance of colours, shapes and sizes to meet your design whims. The Single features a layer or two of prominent petals surrounding a centre of stamens and delightfully, resemble a giant daisy! At the other end of the spectrum, the Double displays a lot of petal power with multiple rows forming a beautiful blooming ball. And of course, there are many interesting shapes in between. According to legend, explorer Marco Polo described peonies as “roses, as big as cabbages” when he first saw them in China. Incidentally, during the off season, English roses, also called cabbage roses, make a less expensive substitute for peonies. The passion for peonies gained momentum in Europe in the 19th century with the development of new varieties and the inspiration from peony paintings, particularly those of French impressionist Renoir. Today, peonies proudly rank highly in “Most Popular Flowers” lists. According to The Wedding Report, these ruffled petals are the fourth favourite among brides. 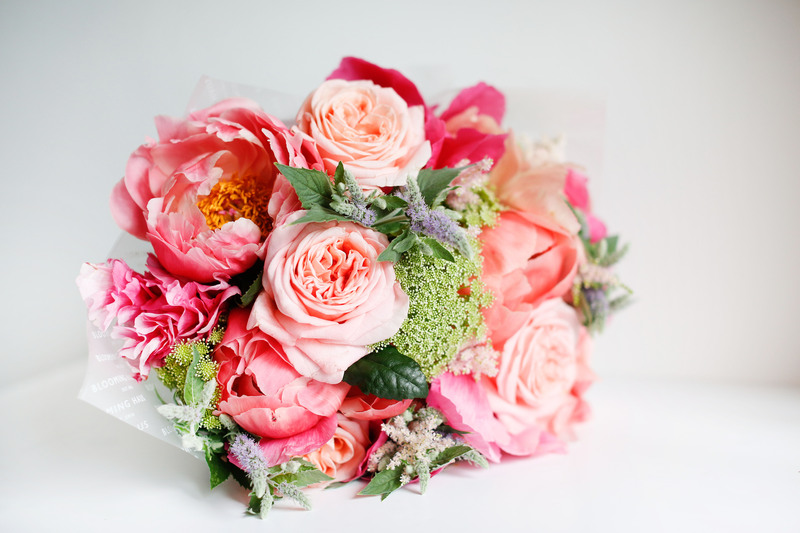 More than pretty pink posies, London florists also offer peonies in various shades of lavender, red, coral, yellow, cream and white, as well as beautiful blends or bicolour. A few popular picks feature descriptive names, such as Bowl of Beauty, Festiva Maxima and Pearled Lemon Cream, a new one for 2015. And finally, we can’t end this discussion without answering a question frequently asked of florists, “What’s with ants on peonies?” The sweet nectar released by peony buds attracts these harmless insects and fortunately they move out as the flowers open. But, rest assured Bloomhaus florists deliver glorious peonies ant free! Consider ordering the ultimate fluffy flower from Blooming Haus florists for your next business event or social celebration, because they’re ultra-fresh right now and… just so pretty! 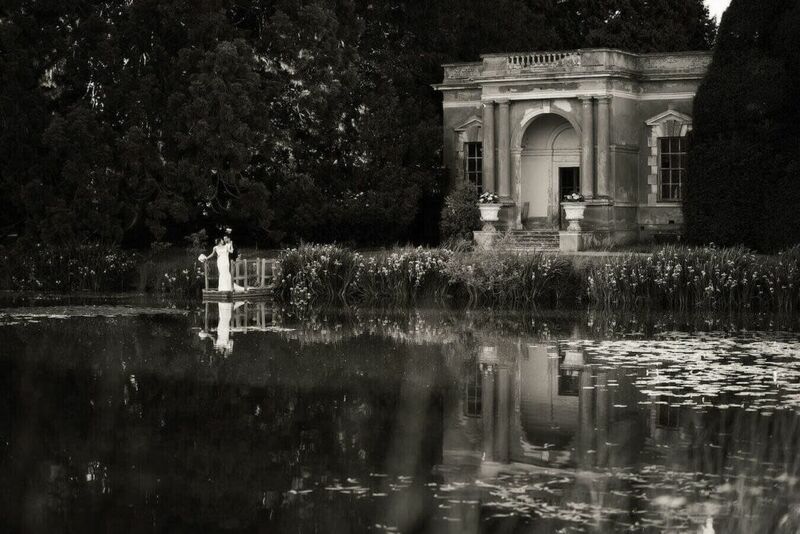 Visit our wedding bouquets section for more inspirational photography or go to our Instagram to see our latest portfolio.